The product is comprised of two separate items that can work in tandem: a speaker called Nomadic and the suitcase companion called Speakase. 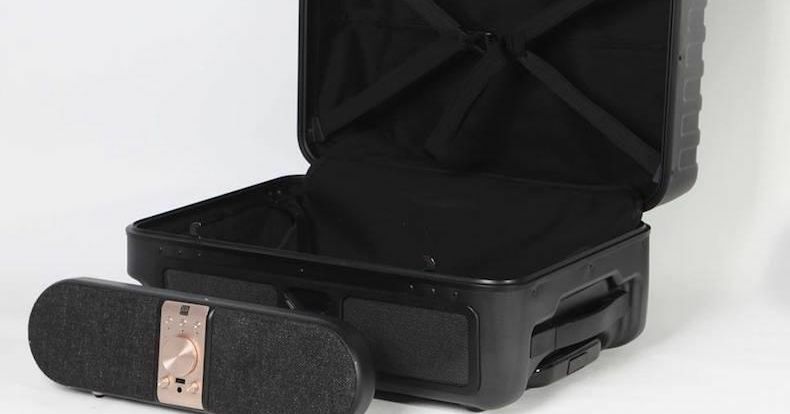 The portable speaker was designed to operate on its own, but also in tandem with the suitcase. The speaker component has a built-in power charger that’s accessible from the front of the suitcase, and since it’s easily removable, there shouldn’t be issues with TSA compliance. Concern aside, the Nomadic speaker / suitcase combo is a novel idea, but as with all Kickstarter projects, be aware that delivery can be unreliable. The Nomadic Bluetooth speaker is available for preorder at an early bird price of $179, while the speaker / suitcase combo has an early bird price of $379.